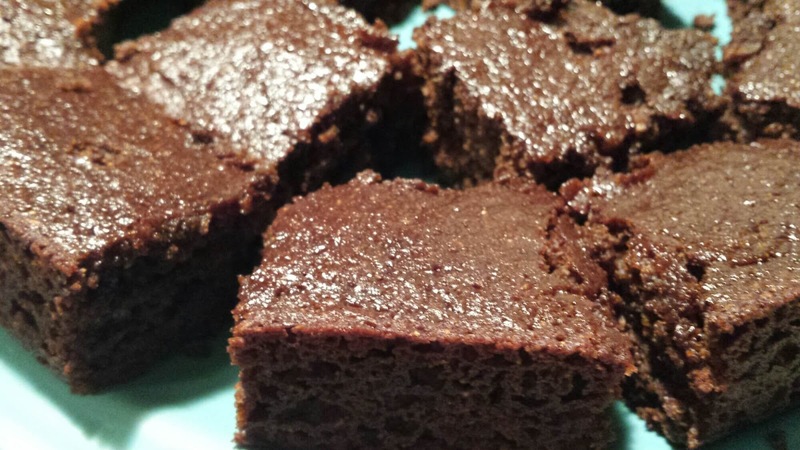 These wouldn’t exactly pass for regular brownies, but if you are craving something sweet & chocolatey then these will do the trick! Microwave honey in a glass measuring cup for 1 minute. Whisk cocoa powder into warm honey. Set aside. In a small bowl whisk together flour, baking powder, baking soda, & salt. In a large bowl whisk together applesauce, oil, egg & vanilla. Whisk the honey & cocoa mixture into the wet ingredients. Add dry ingredients & whisk until smooth. Pour into an 8×8 baking dish that has been sprayed with non stick cooking spray. Let cool before cutting. I didn’t have any will power & cut mine way too early which is why they are such a mess.